I didn’t expect to laugh so much at Christian author Charlay Marie’s The Holy Shop, but maybe that’s precisely why I did. 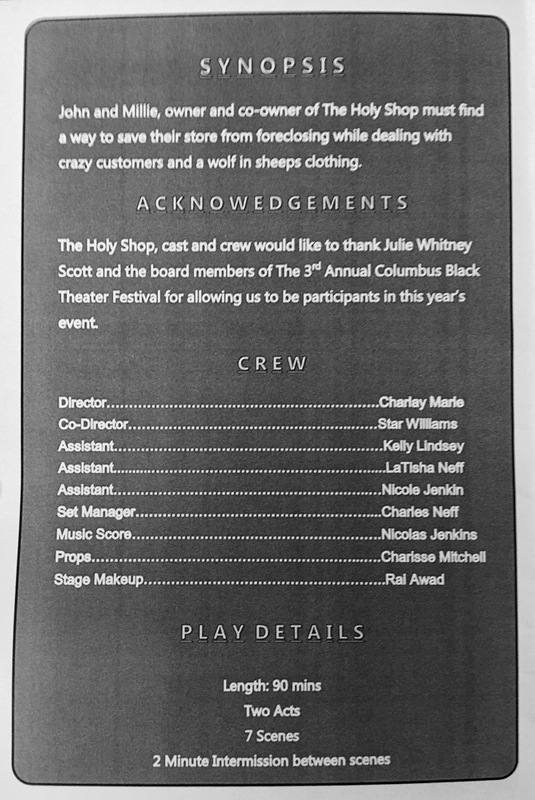 This was my first time attending the Columbus Black Theatre Festival, and it was the promotional art for The Holy Shop that caught my eye. Sure, the poster looks humorous, but I wasn’t prepared for the good time that awaited me. The play opens with Millie (Lakita Bradford) pleading with bank officer Jordan (Darrell L. Hunter II) not to foreclose on The Holy Shop, the family business that she runs with her feisty grandfather John (Brian Bowman). They are seven months behind in payments and owe $10,000, but Millie has prayed on it and is sure all she needs is more time for God to deliver onto them; perhaps that rich, fine Pastor Thomas (Z. F. Taylor) who has asked Millie out could be a beacon of hope sent by God – or is he? The Holy Shop’s most consistent customer is named Jackie (Johnathan Pierre) whose nickname is “Crackie” and lips are all “ashy” they say. Grandfather John thinks the reason their business is going under is because people are stealing from him, so he hires admitted thief Doneesha (Andrea Johnson) as security. Doneesha shows up the next day in a t-shirt with “BODYGAWWD” on it and agrees to work for bottled water. Oh, but that bottled water has been blessed, and it has some strange properties once it has been consumed. Charlay Marie (who has a pivotal cameo in the play that I won’t spoil) gave a touching curtain speech about how this was her first play, how she has decided to be a film director, and how all one needs to do is believe in God and wait and His blessings will come forth. I think that message is leaving out effort, which Charlay certainly has put forth with two published novels and more on the way. Her biggest strength is her dialogue between characters; conversations come off as real and humorous naturally. All of the actors perform well, but the standouts are Brian Bowman and Darrell L. Hunter II. 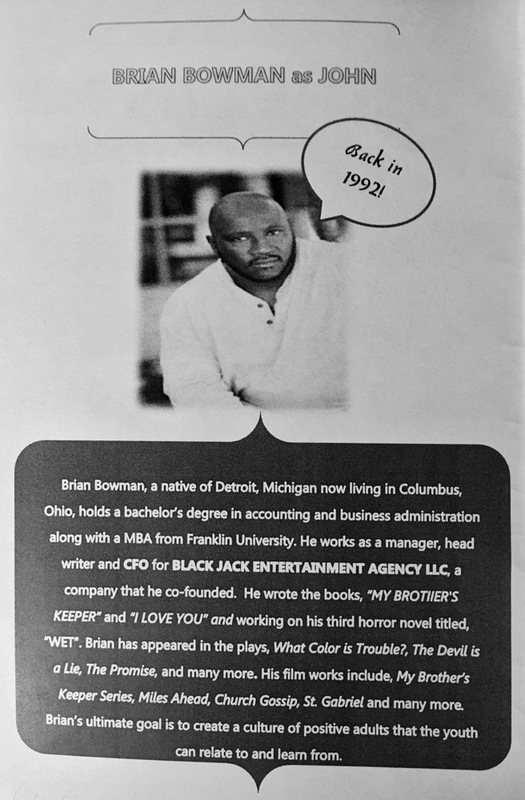 Brian reminds me of Red Foxx in his performance of grandfather John with his booming voice filling the theatre and tall tales about Martin Luther King Jr. and Harriet Tubman visiting his store “back in 1992,” his catchphrase. 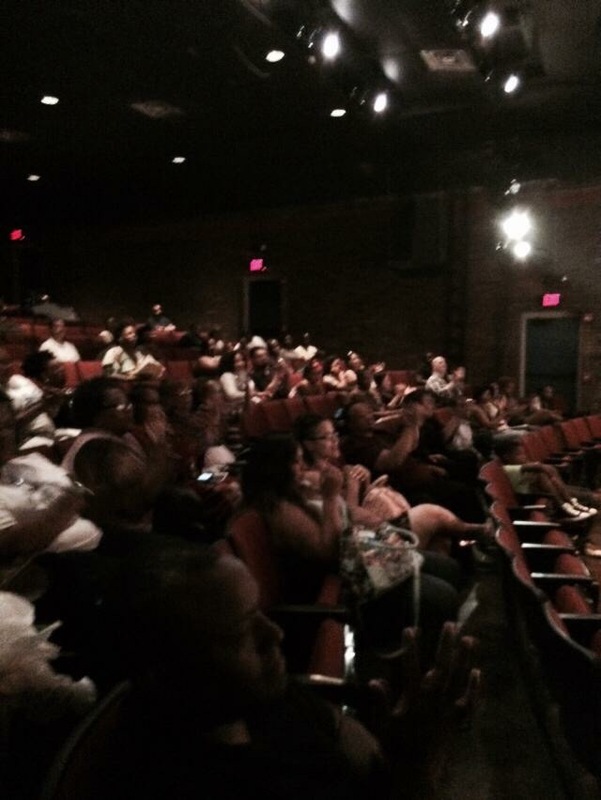 “Harriet Tubman bought two bottles of oil because her hair so nappy,” he says, and the audience howled. 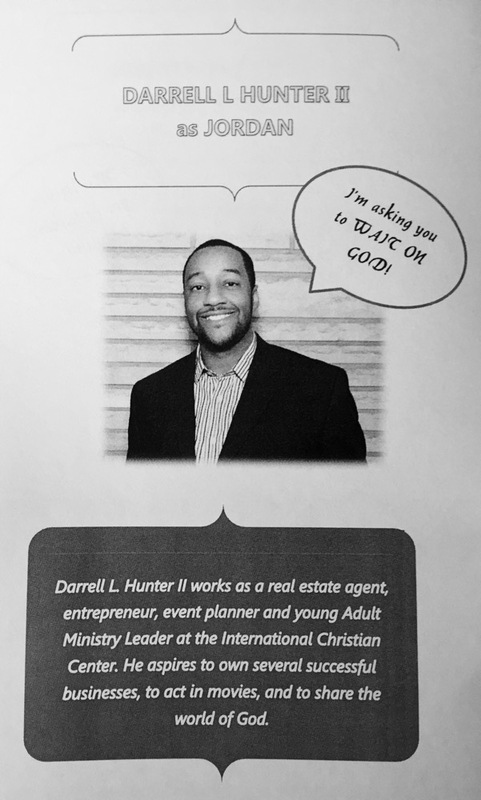 Darrell L. Hunter as Jordan is handsome, confident, and knows that being a good listener is part of being a good actor. He is blessed with the looks, manner, and voice that makes him thrilling to watch. We should all be so lucky to be as talented as these two guys. I enjoy seeing original works by growing artists. I hope the promise of a future performance mentioned in the program of The Holy Shop is true because I have several friends that I’m sure would enjoy it, probably laughing even harder than me. 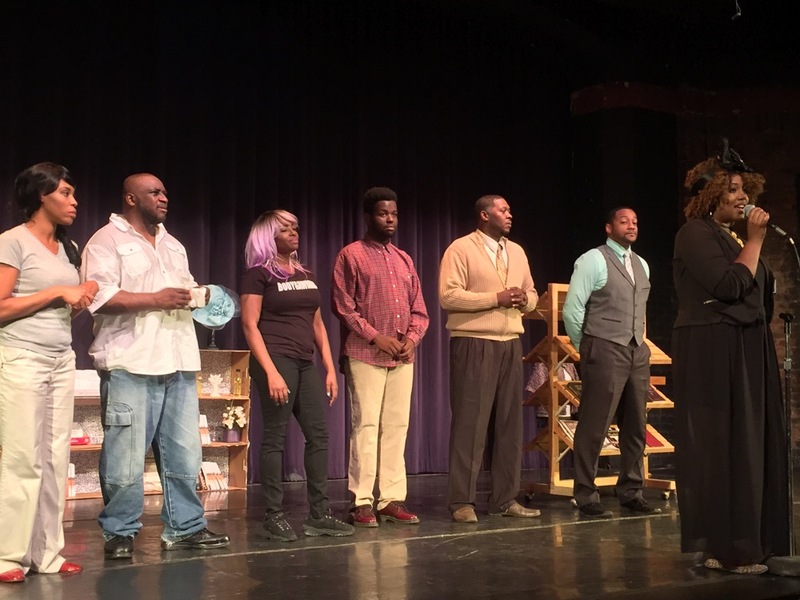 The Holy Shop was written and directed by Charlay Marie (http://charlaymariebooks.wix.com/charlay) as part of the 3rd Annual Columbus Black Theatre Festival produced by Mine 4 God Productions (http://www.mine4godproductions.com). The enthusiastic audience of which I was a part.